The two new fragrances from the house of Benetton within the Colors de Benetton collection are named Pink and Blue. Both editions are intended for women. The perfumes are made under the license of Puig as fresh and youthful creations. 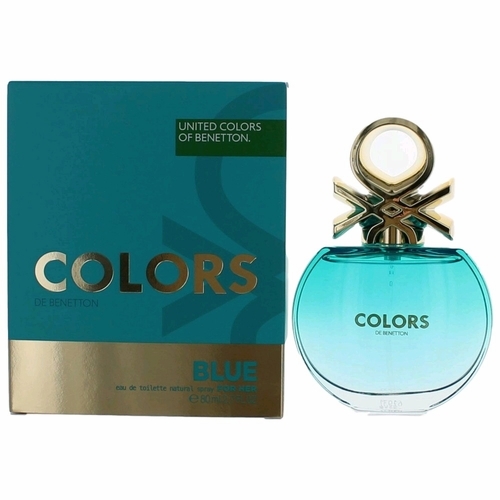 Colors de Benetton Blue is relaxing and refreshing citrusy fragrance. The top notes include bitter orange, lemon and yuzu and lead to the heart of orange blossom, freesia and a mate accord. The base notes include cedar wood, tonka bean and musk. Colors de Benetton Blue was launched in 2016.